Over the past four years, she has been on an intense spiritual journey. After studying the Feasts of the Lord as outlined in Leviticus 23, she actually began celebrating these feasts. There in the middle of the spring feasts and the fall feasts was an obscure passage that seemed out of place, so she asked God why it was there and how she could put it into practice. Let me introduce you to the woman on the right, Tonja Smith, my friend and sister in Christ. Tonja continued to pray over this verse. This command is given in Deuteronomy 24:19-21 adding to leave the gleanings for the fatherless and the widow. In the book of Ruth, this theme shows up again, as Ruth is a widow gleaning in the fields of Boaz. Tonja understood what it was like to be a modern-day widow, being a single mom raising two boys. But how was Tonja suppose to use this passage? One day she read about an organization in Israel called Leket Israel. (Leket means gleaning in Hebrew). It is a gleaning organization based on these same verses. They rescue healthy, fresh food that would otherwise be thrown away, and give it to partner organizations that feed the poor. This was her answer on how to do it! Up to 40% of food produced in the United States is wasted and put in landfills, while 14% of households are food insecure. Here in urban Spartanburg, the numbers are even higher being up to 60%. This shows an even more stark nutritional poverty. The goal of Ruth’s Gleanings is to bridge the gap between food waste and the nutritionally insecure, but also to create a place where community can work together to supplement food pantries and missions with healthy food. Tonja’s family and friends work the community gardens. Her team rescues the unsold produce at the farmers market. 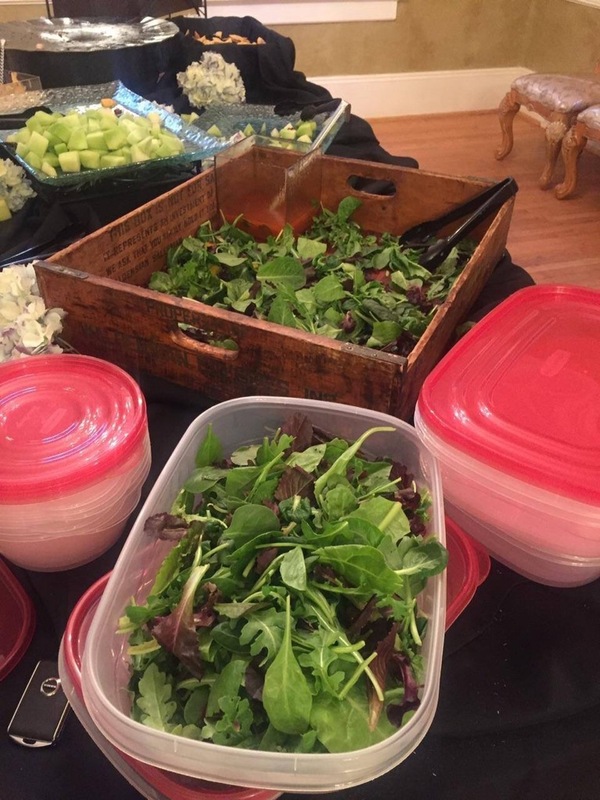 Her squad has gone to weddings prepared with Tupperware to be filled with the leftovers from the reception to be taken to the local homeless shelter. So this is where I kind of come in. I create in order to give all of my proceeds to an organization that encourages, empowers and nourishes the poor. Days before this particular craft show, I was having lunch with Sissy and still had no idea who I was going to be giving to. Then she started telling me all about this conversation she had with this woman, Tonja. Wait a minute….”Are you talking about Tonja Smith?” Well, from there my ears and heart were wide open! I am happy to say that I was able to send Tonja a check for $350. In the worldly scheme of things it isn’t very much, but I know that in God’s eyes it is huge. And He is who I am doing this for. He gave me this deep desire to create. And we are commanded to use our gifts and talents to honor Him. So all of my proceeds are donated to someone who is doing the same. I, so, admire Tonja for following God’s call for her. She had a stirring in her heart. She had no idea what to do or how to do it, but she stayed faithful and prayed. It is when we rely on His knowledge and not our own understanding that the most beautiful things happen. I want to add, that in addition to gleaning healthy food for the poor, Ruth’s Gleanings partnered up with Sidewalk Hope to make prayer shawls for the single mothers who live in the nutritionally and spiritually poor areas of town. Each shawl was decorated with trim, thread, beads, or paint. And most importantly prayed over by the team. A special luncheon is being prepared for the mother’s of the children served in Sidewalk Hope. The mothers will be invited to a nutritious meal and given a warm, beautiful shawl.